Small and oh so light! 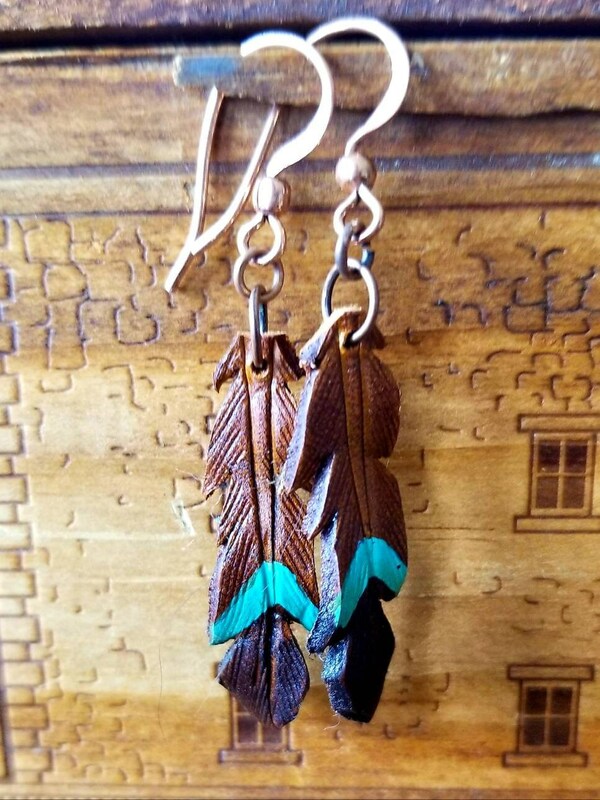 You will forget that you have these beauties on at all! 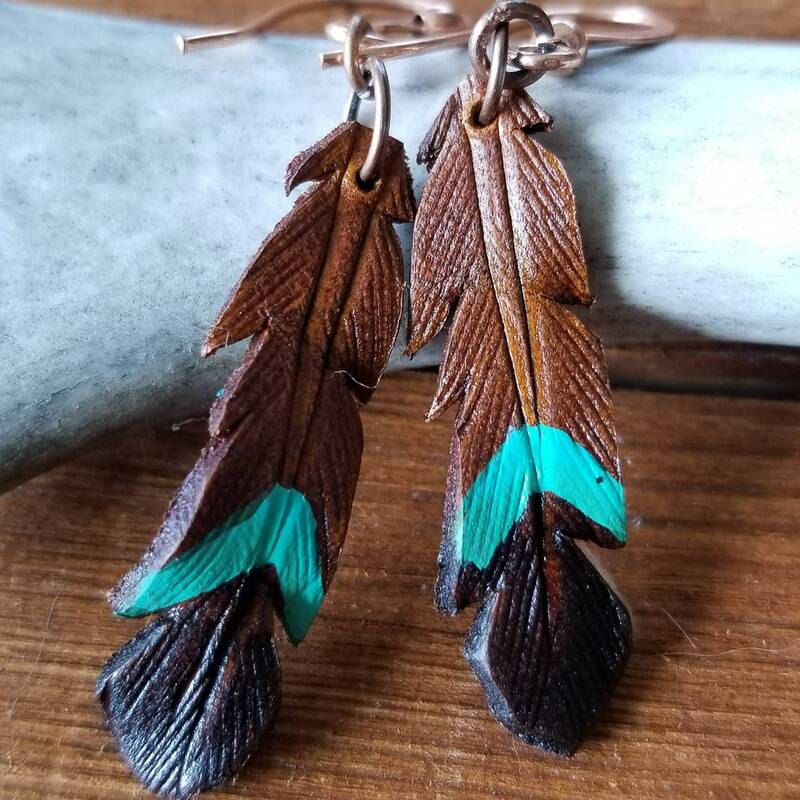 Crafted from leather, the small 1.50 inch feathers are wet molded into the feather shape before being hand hand painted. 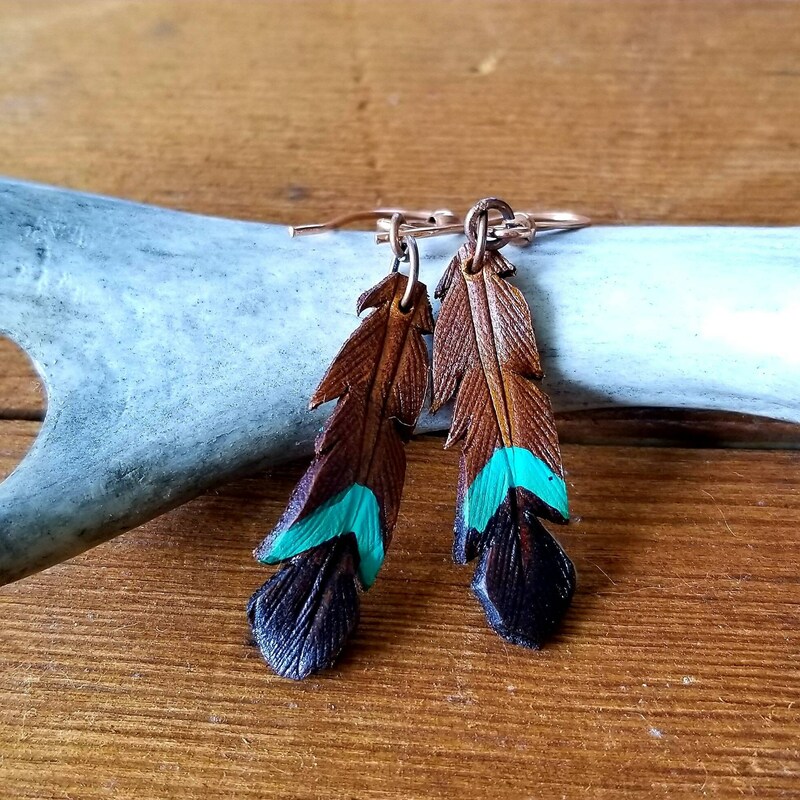 The feathers hang from antique copper earring wires.